Hertfordshire-based Winters Haulage Limited, now in liquidation, received a £510,000 fine for storing thousands of tonnes of baled RDF illegally. 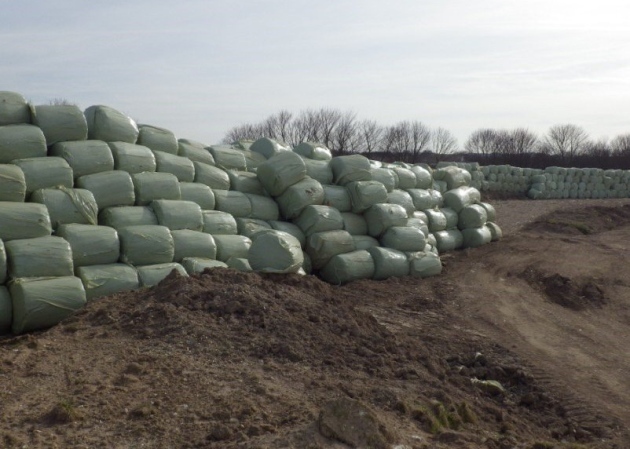 Cambridge Magistrates’ Court issued the penalty after the business pleaded guilty to offences relating to the baled waste deposited at a site next to Royston Sewage Treatment Works in 2014 and 2015. Of the £510,000 fine, £450,000 was equivalent to money saved or avoided by committing the offences. The company was also ordered to pay costs of £30,000 and company director Liam Patrick Winters has to carry out 180 hours of unpaid work and be fined £8,850. Outlining its case against the company, the Agency claimed that it had a permitted site in Hitchin, but claimed that it had been transporting waste to the site in Royston, without the required permit. The company had also been told to clear waste from the Royston site in 2014, noting that some was taken to a Biffa landfill site, and some to the company’s Hitchin site, one of two waste transfer stations operated by Winters at the time. However, the Agency said “the necessary accompanying waste transfer notes were either absent or incorrect”. It was later alleged that some of the baled RDF had been buried at the Royston site, posing a “significant fire risk”. Solicitor Mike Magee, who mitigated for Liam Winters, told the court that in early 2014 Seneca Environmental Solutions Ltd had indicated that it could offer Winters Haulage a service to deal with its baled waste for transfer to Europe. However, the defence said that the company had been “unable to take round bales as were produced by Winters at their Hitchin site”. He added that Winters had used the Royston site to store the waste as a temporary measure until the RDF could be removed. Mr Magee said that the company had not intended to undermine the statutory regime. “Illegally stockpiling thousands of tonnes of waste in this manner has potentially devastating impacts on the environment, communities and transport infrastructure. This case highlights the growing problems being faced with waste across the country and the result in court today should reassure the public that the Environment Agency is committed to bringing waste criminals to justice,” said after the hearing, Environment Agency team leader Phil Henderson.